Schedule A Free Consultation With Dr. Swail! Dr. Swail is a plastic surgeon in Boulder, CO who specializes in cosmetic surgery procedures of the face, body, and breast, as well as many non-invasive procedures. His attention to detail is just part of what makes him a leading plastic surgeon in Northern Colorado. 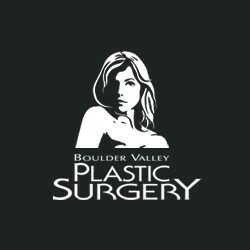 Boulder Valley Plastic Surgery has been serving patients in Boulder, Denver, and all along the Front Range for more than 30 years. Our state-of-the-art surgical suite is second to none. Our plastic surgery facility is certified by the American Association for the Accreditation of Ambulatory Surgical Facilities (AAAASF). Aside from cosmetic and reconstructive surgery, we offer a full range of less invasive, nonsurgical treatments including laser, Botox®, and injectable fillers (such as Restylane®, collagen, Juvederm®, etc), as well as a full-service skin care center!